Get a Bonus Grant from Home At Last™! Bonus: something welcome and often unexpected that accompanies and enhances something that is itself good. Home At Last™ Bonus Grant: a welcome $1,500 or $2,500 that accompanies and enhances the already awesome Down Payment Assistance. Let us reward you with an EXTRA $1,500 or $2,500 to use for closing costs. The bonus is in addition to the benefits you’ll already reap with Home At Last™ Down Payment Assistance. This closing cost grant is available only with Freddie Mac HFA Advantage conventional loans to borrowers with certain household income levels*. Click to Connect with an Approved Home At Last™ Lender Today! 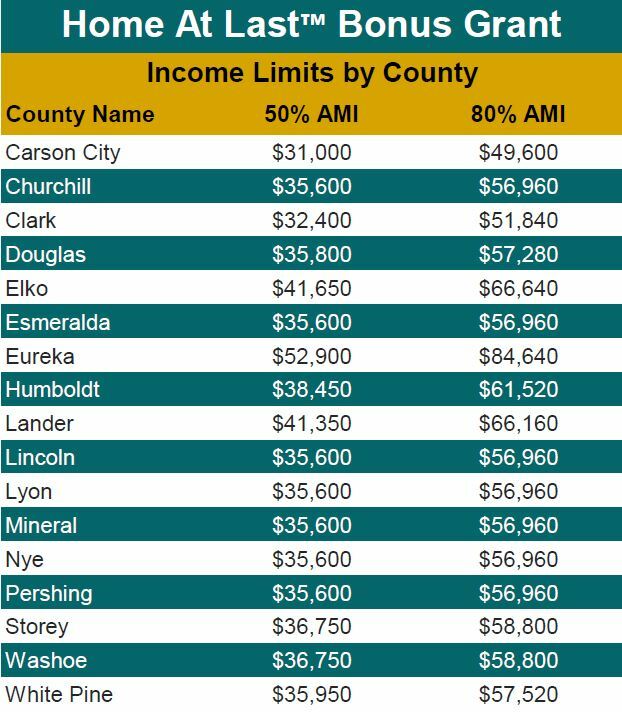 *$1,500 to eligible households earning 51 to 80% of Area Median Income (AMI), and $2,500 to eligible households earning at or below 50% AMI.